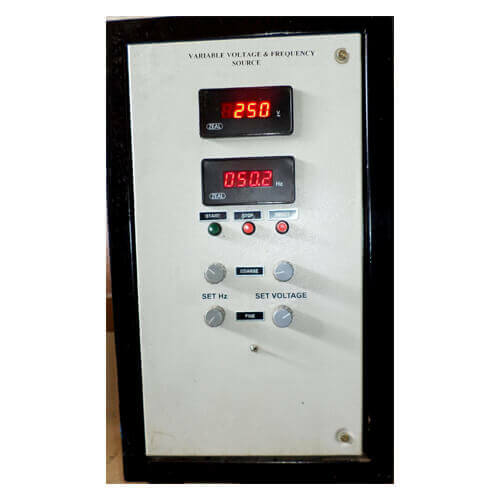 Variable Voltage Variable Frequency source is used to simulate mains conditions of different parts of the world and also to check frequency response of power electrical appliances, systems, components etc. 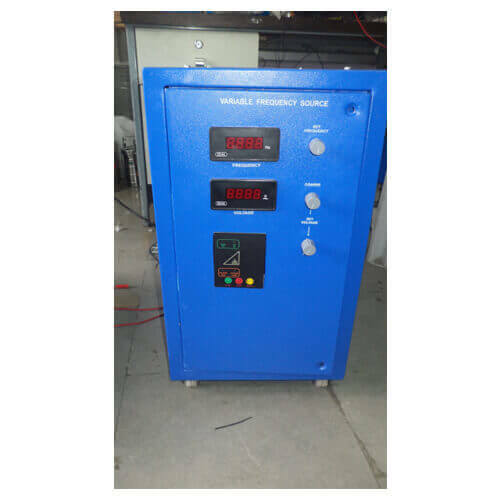 We manufacture wide range of sources with input 3ph or 1 ph and output 3ph or 1 ph also. 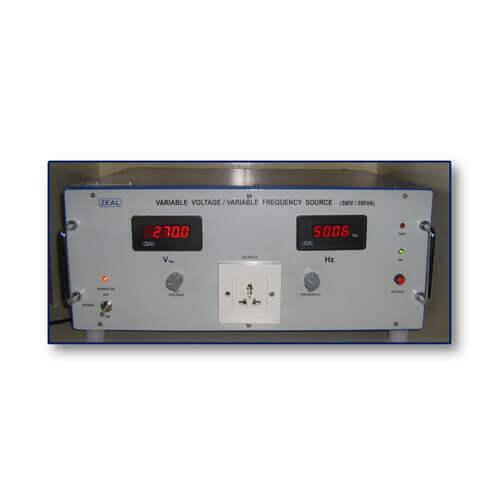 Digital Meter to indicate V & Hz.